What Separates Givers from Takers? How do Leaders Create Vision? This is Your Life ! Can Purposeful Action be Divorced from Ethics? What you desire affects how you act, whether or not you realize it consciously. In other words, actions are driven or motivated by the desires of individuals. The ancient Vedic Sages and Sikh scriptures tell us that humans are bundles of desire. Desires inform our value system and drive our actions. Actions, in turn, shape our lives and who we become. We constantly oscillate between Giving and Taking, Receiving and being Taken. Nirvana frees us from the bonds of desires. For centuries, Western behavioral scientists, philosophers and psychologists have studied how needs, wants and desires influence behavior. Abraham Maslow proposed a hierarchy of desires or needs that drive human behavior. He presented a list in the form of a pyramid, starting with basic physical needs for food and survival, and progressing to psychological needs of self-realization and self-actualizing. Some four thousand years ago, the Vedic sages of India gave a similar yet much simpler list of four levels of desires that govern human behavior. The first two levels cover desires of taking, where the needs are directed towards satisfying self. Buddha taught that attachment to the objects of these desires was the cause of human suffering. The second two levels are comprised of desires that are directed towards serving others and the need to relate to something beyond self. Lust – desires that spring from the need for survival and procreation, even at the expense of others. Wealth – desires to accumulate material possessions and power and to be respected and loved by others. These desire promote taking, which eventually leads to dissatisfaction and unhappiness. In organizations, these desires can lead to corruption and failure. The desires of taking foster Negative Core Values in individuals as well as in organizations. Service – desires to serve, share, give to others and to love, be compassionate and care for others. Freedom – desires to be detached from all desires and to be disassociated and free of the trappings of material existence. These second level of desire fosters giving. Desires in this level pave the way for a fulfilled life and an ethical organization. Such organizations share success and fulfillment with all stakeholders. The desires of giving foster Positive Core Values in individuals as well as in organizations. Leaders who are driven by the desires of giving are Purposeful Leaders or Servant Leaders. Growth towards success and fulfillment is determined by the desires that shape our value system and drive our actions. The key to leadership success, to fulfillment of the leader’s vision is found in the levels of desires that motivate the leader. 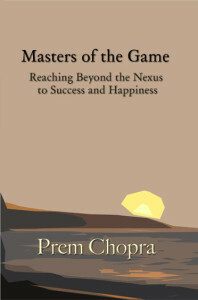 The book Masters of the Game shows how you can apply the Four Levels of Desire to improve your life. We appreciate your comments or questions you wish to share! ← Who are the Archetypes of the Brook? Prem Chopra presents the collective wisdom of centuries in a story as modern as the Internet. The messages are thought-provoking as the reader journeys through the life of Pete Cameron, a young computer executive, who must find the inner strength for the challenges of a new age. 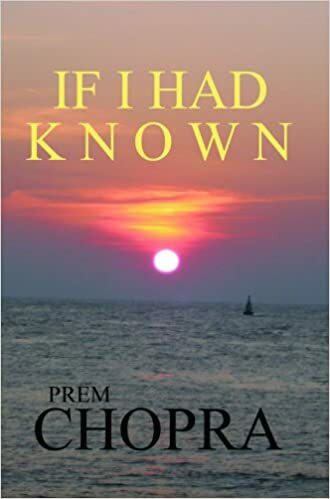 "Chopra makes absorbing timeless wisdom as easy as reading the latest novel." Usha Lee McFarling, Pulitzer Prize-winning Journalist. Copyright © 2019 Purposeful Action. Powered by WordPress. Theme: Spacious by ThemeGrill.